It is more than a fog, less than a rain. 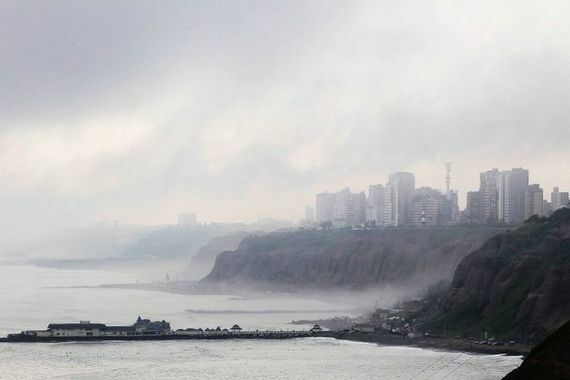 It is the heavy mist that sometimes appears in the winter in Lima. The locals call it la garúa, a sea mist caused by warm winds interacting with the cool water of the ocean. It is a condition found usually from June through November along the Peruvian Coast. It will be a challenge to me as a photographer to make my scenic views interesting, but it will be fun. 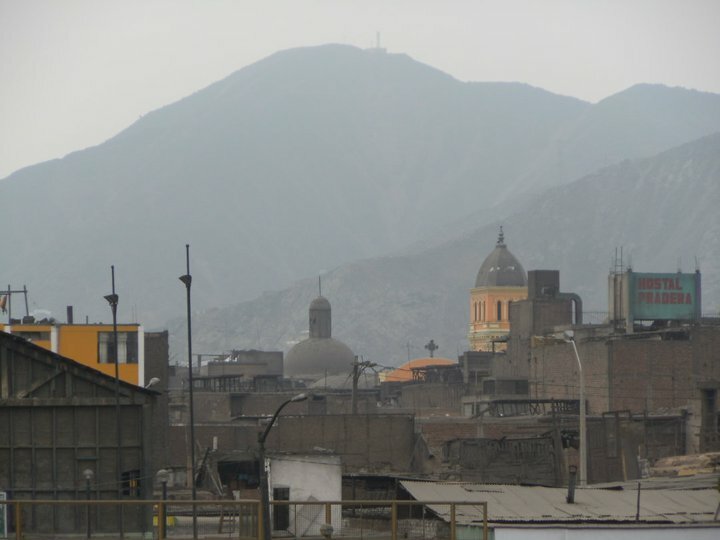 Once I leave Lima, I will be in the bright sunny mountains with their spectacular clouds.